The fall of the Soviet Union was a transformative event for the national political economies of Eastern Europe, leading not only to new regimes of ownership and development but to dramatic changes in the natural world itself. 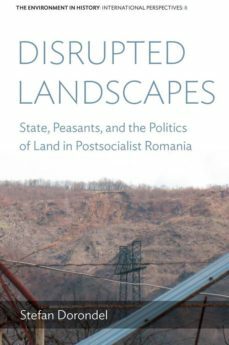 This painstakingly researched volume focuses on the emblematic case of postsocialist Romania, in which the transition from collectivization to privatization profoundly reshaped the nations forests, farmlands, and rivers. From bureaucrats abetting illegal deforestation to peasants opposing government agricultural policies, it reveals the social and political mechanisms by which neoliberalism was introduced into the Romanian landscape.